CHORIZO PAMPLONA. 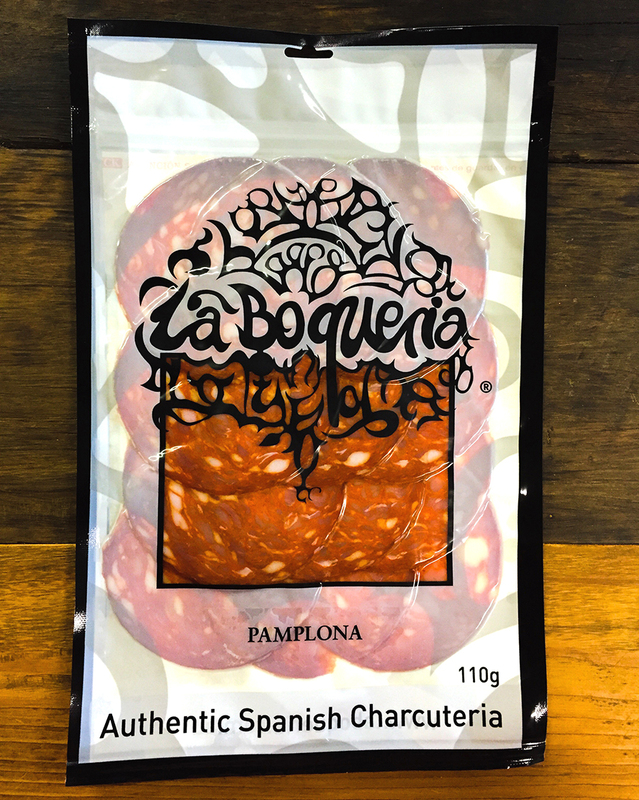 This is strong flavoured, CURED salami made from an authentic Spanish recipe handed down with love and responsibility by the family. We have a 45mm diameter, a 65mm diameter and a GIANT. These interpretations of the recipe are design for specific uses. The slender 45 with a relatively coarse grind for its size, is a strong flavour, dry finish paprika driven salami. Perfect for that Tapa that has strong flavours as accompaniment. The 65mm is coarse grind again, this gives the texture and flavour a greater chance for the sweet pork notes to come through. The GIANT is, well.. giant. The grind is very coarse, the flavour more delicate due to the large pieces that cure more like lomo than salami. This will tear perfectly in a sandwich or over a Coca.